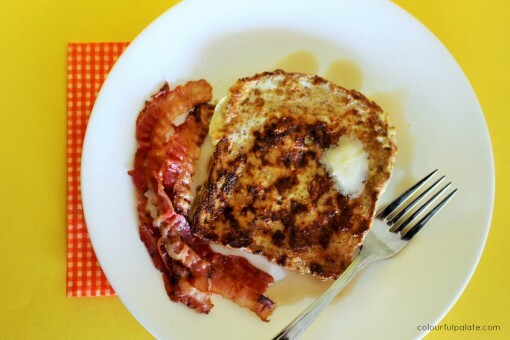 How to Have Make Low Carb French Toast was posted on July 6th, 2015 and is filed under Breads & Muffins, Breakfast, Kid Friendly, Low Carb, Protein, Recipes. This entry has 4 comments. You can follow any responses through the RSS 2.0 Comment Feed. Since I prefer to eat a low carb, no sugar life as a whole (lets not lie…sometimes I eat milk chocolate ), I love finding new recipes that allow me to eat “old favourites”. It seems like all the things that give me the warm fuzzies like Mac n’ Cheese, pancakes, and toast with jam are heavy carb, full of gluten, and sugary. I’m all about these foods for a treat, but they are not an every day occurrence. Also, check out my Mac n’ Cheese makeover recipe! Today I was craving French toast, so I grabbed a slice of this bread and made magic. This bread is fantastic because one slice is only 7.5 net carbohydrates, and it’s sprouted, mostly organic, non-GMO, 3.5 grams protein, and is only 55 calories. When I’m having a more fat-heavy meal I keep my carbs down to 10 grams per meal. This egg mixture makes enough for two pieces of bread, but I just poured it all over my one piece of bread because I was sticking to one slice and I’m greedy. Mix ingredients together. Soak the bread and cook until each side of the bread is done. Add some bacon, butter, and sugar-free syrup…and you have the nicest low carb breaky…warm fuzzies included. French toast or pancakes? 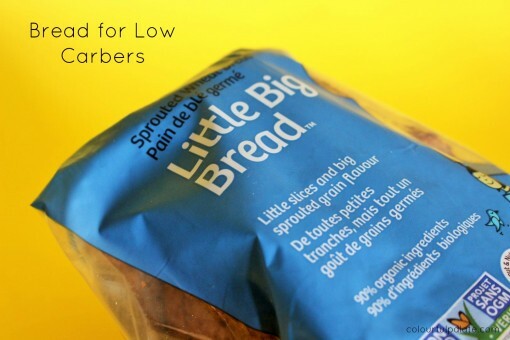 Know of any good low carb breads? I want this for breakfast tomorrow! Sounds so satisfying! I haven’t had french toast in ages! Craving it now :-) I haven’t tried low carb breads as such but here in the UK there are a lot of ‘light’ breads also around 50 calories a slice or less. I do find they soak up a lot of the egg mixture though and go quite soggy so it can take a while to get them to crisp up again when cooking. Looks perfect! French toast was always my favorite breakfast growing up. NOM! I LOVE French Toast, but the last time I had it… Wow, high school maybe?